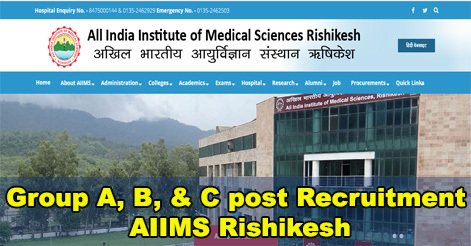 All India Institute of Medical Science (AIIMS), Rishikesh has released the notification for the filling up of 33 posts of Medical Physicist, Chief Cashier, AE, JE, & Mechanic. AIIMS Rishikesh invites online applications from suitable candidates for the following posts on Direct Recruitment Basis. The last date of filling up of online application form is 45 days i.e. 18 March 2019 from the date of advertisement in Employment Newspaper. M.Sc. In Medical Physics or equivalent from a recognized University/Institution. (ii) A post-Graduated diploma/degree in Radiological/ Medical Physics from a recognized University/Institute. M.Sc. in Medical Technology with Radiotherapy as a special subject from a recognized University and/or Diploma in Radiation Protection. Desirable: 2 years’ experience in the design and engineering of civil projects, preferably in a Hospital Environment. 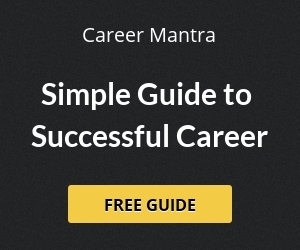 Essential: Graduate in Electrical Engineering from a recognized University / Institute. Desirable: 2 years’ experience in the repair and maintenance of electrical systems, preferably in a Hospital Environment. Age Limit : Age not exceeding 30 Years Graduate in Electrical/ Mechanical Engineering from a recognized University/Institute. Desirable: 2 years’ experience in Repair and Maintenance of large scale Air Conditioning & Refrigeration systems. B) ITI /Diploma Certificate in Refrigeration and Air Conditioning from a recognized Institute/Polytechnic of a minimum of 12 months. Selection of the candidates will be based on Written Test / Skill Test / Interview Performance. Date of Examination and centers of examination and any information recruitment will be uploaded on AIIMS, Rishikesh website. Interested candidates may submit their Online Application through the official website of AIIMS Rishikesh i.e. www.aiimsrishikesh.edu.in from 02 Feb 2019 to 18 March 2019. Individual application and application fee is required to be submitted/remitted for each post (s) (in case of candidates applying for more than one post). Fees shall be paid through the online application portal. Fee once remitted will not be refunded in any case. Help us to improve this article/job posting "Group A, B, & C post Recruitment AIIMS Rishikesh". We would be glad if you can comment below and provide your valuable suggestions and feedback. If this page have any wrong information/list or out of context content, then you can report us as well. I m mukesh negi I m working at aiims hospital in new Delhi as nursing orderly before 6 year in neuro surgery department..plzz give me informed for this post thank u.
Hi! I am an architect from Pune. Can I still apply under the post Civil engineer?